Announced back in September, Sony’s cloud-based music streaming app, “Music Unlimited” is now available on Android devices, coming in far ahead of its long-discussed competitors such as iCloud and Spotify. Mobile cloud-based streaming has long been considered a potential fix for the struggling music industry and Sony’s new app could well provide a barometer, given its few, if any, limitations. All four major labels—Universal Music Group, Warner Music Group, Sony BMG, and EMI—have licensed their catalogs to the app, as well as smaller, independent ones. 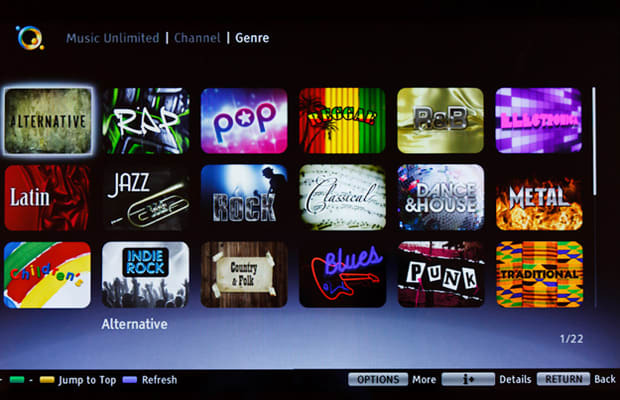 Thus, “Unlimited” currently offers seven million songs at two price packages. For $3.99 monthly, users can sync their iTunes library with all “Unlimited”-compatible devices—PSP and PS3 included—while $9.99 per month allows users to listen instantly to any song and create personalized libraries and playlists. And for those looking to test the waters first, a 30-day free trial is available. Sony might very well have a game-changer on their hands.